Connect your iPhone, iPad, or iPod devices fitted with a 30-Pin dock connector to your computer's USB port for syncing and charging. This durable cable can also be paired with the 4XEM USB Power Adapter for convenient charging from a wall outlet. 4XEM's 30-Pin to USB 2.0 cable is compatible with both Mac and Windows PCs. This cable is 10 feet long. 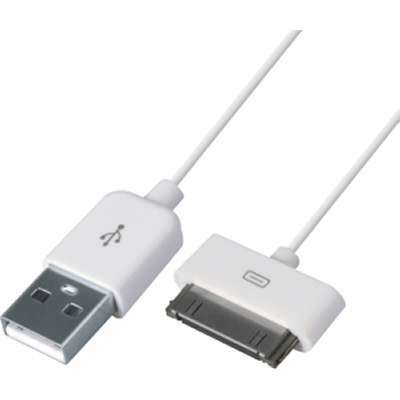 Problem it solves: Makes a perfect backup or replacement charge and sync cable for your Apple 30-Pin iDevices. 10 feet provides plenty of extra wiggle room.